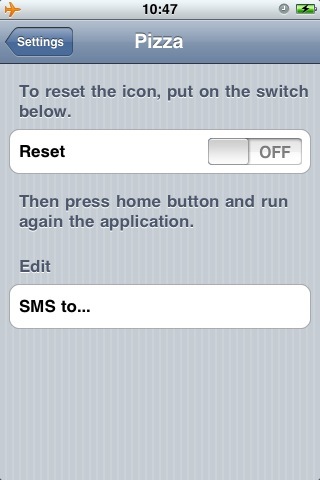 Speed dial button to send SMS to your "Pizza". Easy and quick to configure. Don't miss **FACECALL** if you want to have the icon with the actual photo and name of your "Pizza". With FaceCall you can create as many photo icons as you want. + Do you want to call or e-mail your "Pizza"? 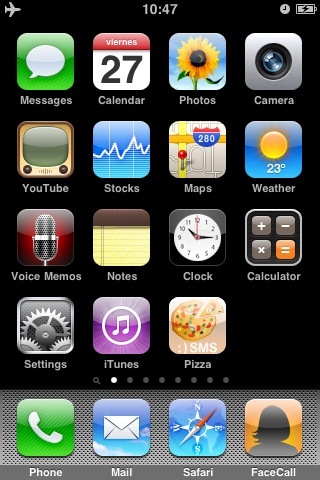 To change the configured phone number look for "Pizza" in iPhone Settings app. 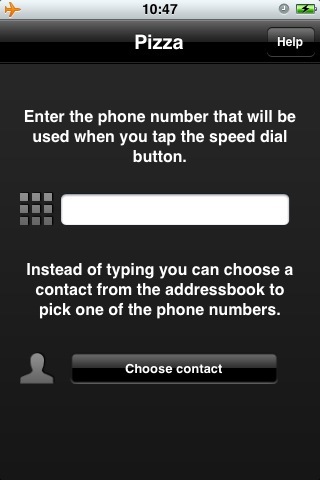 There, you can edit the phone number directly or reset the configuration. You'll be able to choose a different contact in the next application run.